Hybrid infrastructure management vendor Virtual Instruments is keen to target the Australian enterprise sector after experiencing 125 per cent growth in its channel business last year. Visiting Sydney, CEO Philippe Vincent revealed its plans for the Australian market in targeting the large enterprise and government sectors. In September last year, it appointed enterprise technology distributor, Nextgen to help tap further into the region, a few months after appointing Karim Datoo as its regional Asia Pacific manager. “When we appointed Karim to lead our APJ region, we augmented our technical sales and consulting capability, and we will continue to invest and grow in the region,” Vincent said. “Our product creates a lot of opportunity for those who want to add value to their customers in keeping their applications up and performing with very high SLAs. When our customers are running very complex environments, they have a fragmented monitoring approach with lots of tools from legacy vendors. “It’s very hard to find out what’s going on, and the idea of automating the data centre is a big dream. Our product is a single platform that covers the entire infrastructure and gives the customer a map of their environments. Last year, Virtual Instruments also made some significant enhancements to its partner program as well as its hybrid infrastructure management solutions, VirtualWisdom and WorkloadWisdom. The Virtual Instruments Partner Program (VIP) was updated to offer partners profit margins in addition to rewards based on customer engagement. A Virtual Instruments Technology Alliance Program was also introduced to ensure the testing and validation of product integrations. “Our partner programs have specific incentives for our partners to work with us, both on the fulfilment side as well as lead generation with protected margins. Given what the product can do and the opportunity for value add, we’re going to need a very robust partner network globally,” Vincent said. In regards to its partnership with Nextgen, Vincent said it was on the cusp on signing its first Australian customer, and the distributor was aiding with both marketing and financing services. Recently Nextgen revealed how it was increasing its vendor count covering technologies such as cloud, software, security, DevOps and data management. This followed a 25 per cent year-on-year growth across the business, backed up by a customer boost of 84 per cent. “Given all that growth, the key is to continue providing that deepened focus to our vendors and partners,” said John Walters, CEO of Nextgen Group said at the time. Recently Nextgen added, robotic process automation (RPA) software vendor Automation Anywhere, to its portfolio. The vendor creates "digital worker" capabilities using RPA plus added insights through its integrated analytics technology. Recently Automation Anywhere created a bot store, featuring digital workers. For instance, an organisation can download an accounts receivable clerk. 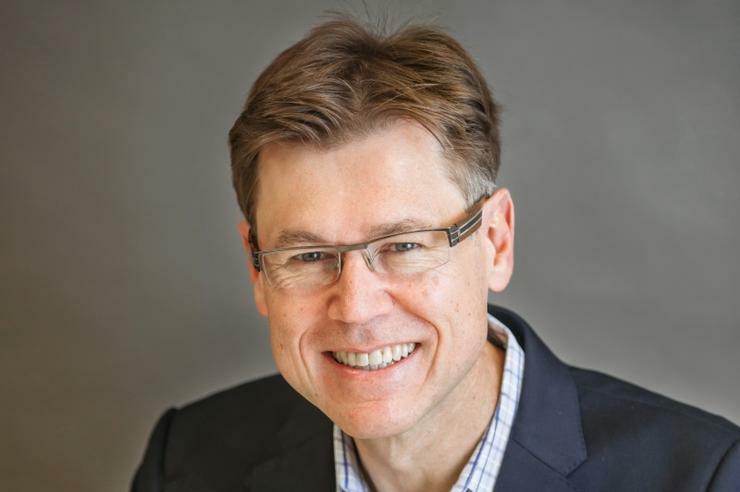 “It’s a significant shift in the way organisations are going to work,” Automation Anywhere senior vice president and managing director for Australia and New Zealand (A/NZ), Tim Ebbeck said.